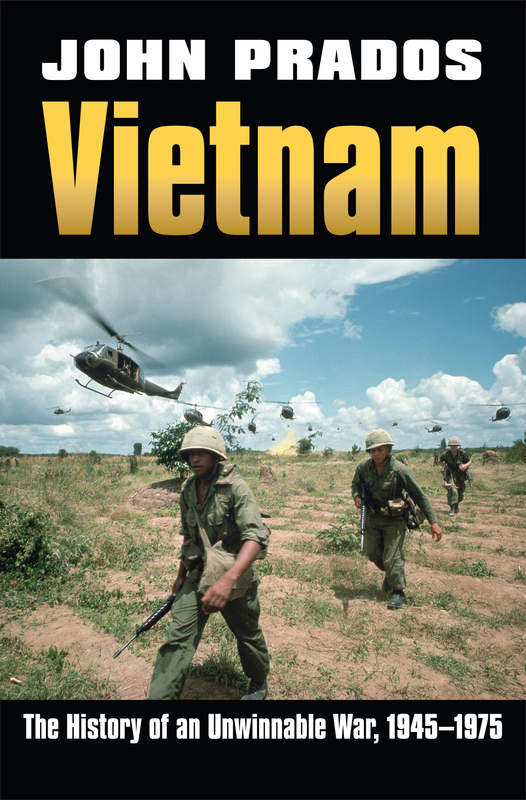 Jerry Lembcke (sociology, Holy Cross) offers an in-depth and critical essay on the dramatic growth in book publishing activity about the Vietnam War since the 9/11 attacks in the June issue of Choice. The essay organizes the books into eight primary categories: historical studies, biography and autobiography, social movements and memory, Vietnam veterans and memory, commemoration studies, legacy studies, film/photography/literature studies, and, documentary and reference works. 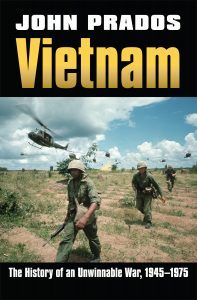 Seven titles published by the University Press of Kansas are covered in the essay, beginning with Vietnam: The History of an Unwinnable War, 1945-1975 by John Prados, Diem’s Final Failure: Prelude to America’s War in Vietnam by Philip E. Catton, and, ARVN: Life and Death in the South Vietnamese Army by Robert K. Brigham, in historical studies; The Vietnam War from the Rear Echelon: An Intelligence Officer’s Memoir, 1972-1973 by Timothy J. Lomperis in biography and autobiography; America in the Seventies, Beth Bailey and David Farber, editors in legacy studies; The Vietnam War on Trial: The My Lai Massacre and the Court-Martial of Lieutenant Calley by Michal R. Belknap in legacy/military policy; and, Victory in Vietnam: The Official History of the People’s Army of Vietnam, 1954-1975 by the Military History Institute of Vietnam, Translated by Merle L. Pribbenow in reference. Yonder yesteryear at the dawn of that awful war in Vietnam, national security adviser McGeorge Bundy, presiding over the United States response to the latest terrorist “spectacular”—an attack on a U.S. airbase—told journalist David Halberstam that “Pleikus are like streetcars.” Attacks were opportunities. They occurred with frequency. The U.S. could choose its moment. The absence of introspection is sufficient to show how blindly Washington marched into war. Today we observe not just the 50th anniversary of the U.S. dispatch of combat troops to Vietnam, but the 40th anniversary of our adversaries winning that war. To paraphrase him, John Foster Dulles once said, it’s easy to go to the brink but the key thing is to avoid tumbling over it. America still needs to appreciate that. We went over the brink in Iraq and now we’ve tumbled right back in. Washington’s need to relearn the same lessons is disturbing. Forty years ago, the last U.S. 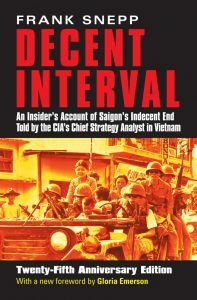 Ambassador to Saigon refused to believe the war had been lost by our allies, and failed to plan adequately for the evacuation of remaining American civilians and their Vietnamese brothers-in-arms. 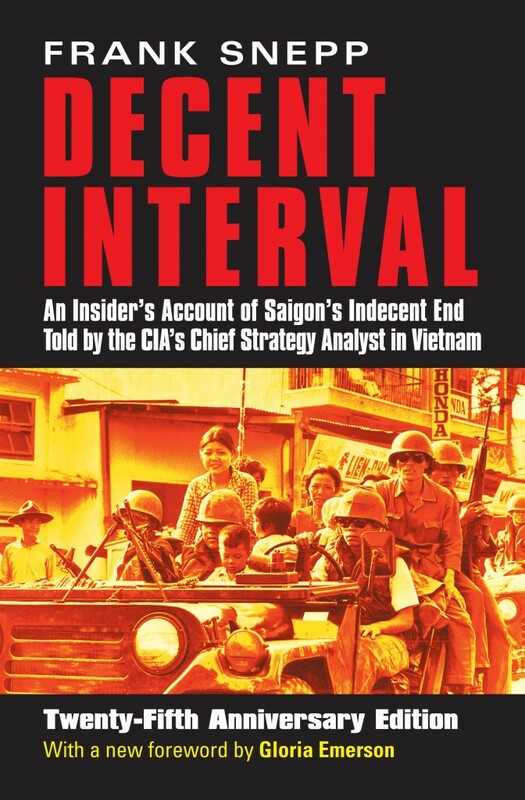 What turned the resulting chaos into a moment of nobility was the heroism of my CIA and State Department colleagues who at grave risk hauled imperiled Vietnamese onto any outbound aircraft those last weeks of the war. In the course of this improvisatory Exodus, nearly seventy Americans, most of them civilian government workers but also including two brave Marines, were killed or captured by onrushing Communist forces—proof that Americans are always prepared to risk all to save their friends.